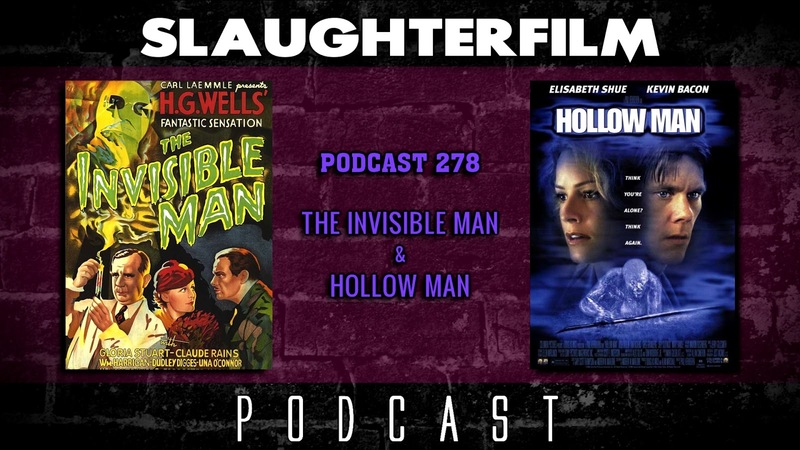 This week the Horror Duo revisit another Universal classic, H.G. Wells' The Invisible Man, while also comparing it to Paul Verhoeven's Hollow Man - a contemporary film of the same source material. In doing so, they also chat about how they might use the power of invisibility for personal gain. Forest also sheds some light on his use of the phrase "whatever like that", as well as seeing the new Blade Runner 2049. Cory talks about some Halloween plans in the works, as well as celebrating the Friday the 13th holiday with a walkthrough video - defending & defeating the NES classic. Cory is also super excitement for the Netflix original series MindHunter, which he can be seen as an extra (Episode 6 - 27 MIN 10 SEC). All this, and shitting on desks! For more Slaughter Film news and reviews, as well as show notes and special events, make sure to visit our website; SlaughterFilm.com. 30:40 - "The Invisible Man"